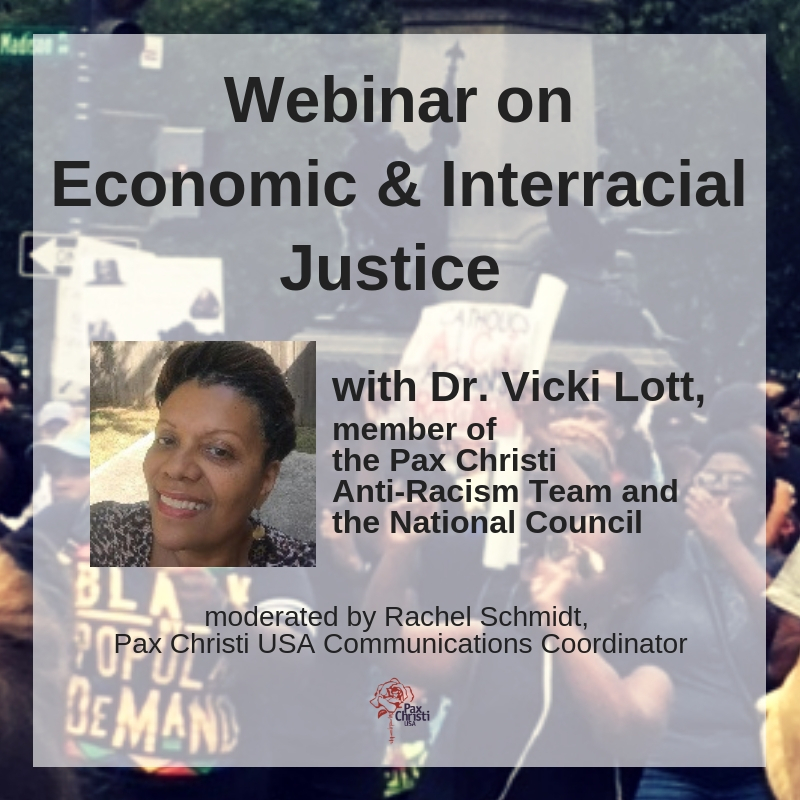 Dr. Vicki Lott, member of the Pax Christi Anti-Racism Team and the National Council, leads a webinar on “Economic & Interracial Justice.” Dr. Lott discusses the intersection of economic and racial justice by looking at how the United States became wealthy as a direct result of racism. Furthermore, she illustrates how the U.S. has continued this racist legacy through policy and deep denial and then delves into the hope the Gospel and Catholic Social Teaching offers to overcome the deep division and hatred that racism has created. How are you allowing God to work through you for peace?